← A Cure All for an Upset Stomach? We are big, BIG fans of the grill in our house. I’m probably a bigger fan than Darrin because he’s in charge of the grill – which means I get a break from cooking dinner. I hate January and February because it’s often a little too cold to grill out. Now that we’re finally in spring our grill will be getting it’s fair share of use. We eat a lot of chicken in our house, but every now and then I like to change it up with steak, pork or fish. I have a go to recipe that I love for pork. We tend to grill the meat but it’s just as good baked in the oven at 350 degrees for about 30 minutes (depending on the size and thickness of the chops!). Don’t let the ingredients fool you, it’s really not a super spicy dish – I’d give it a 1.5 or 2 out of 10 and I’m a little wimpy when it comes to heat! 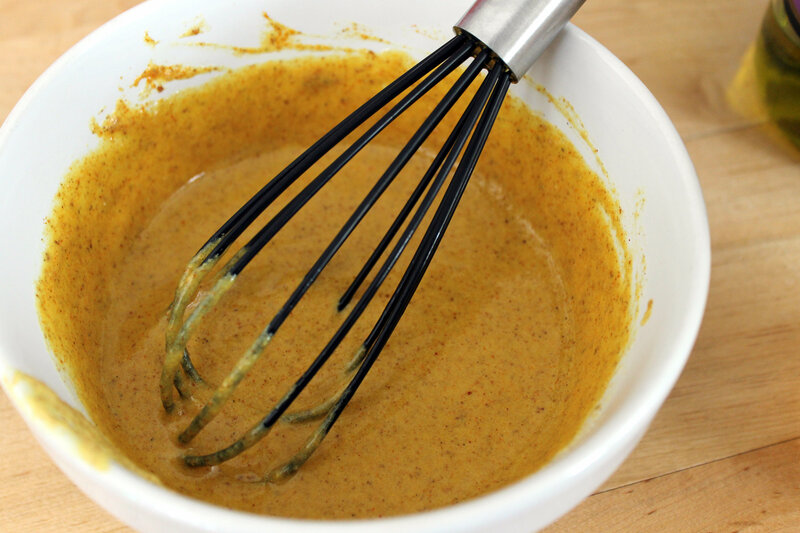 In a small bowl whisk together the mustard, vinegar, garlic powder and curry powder. 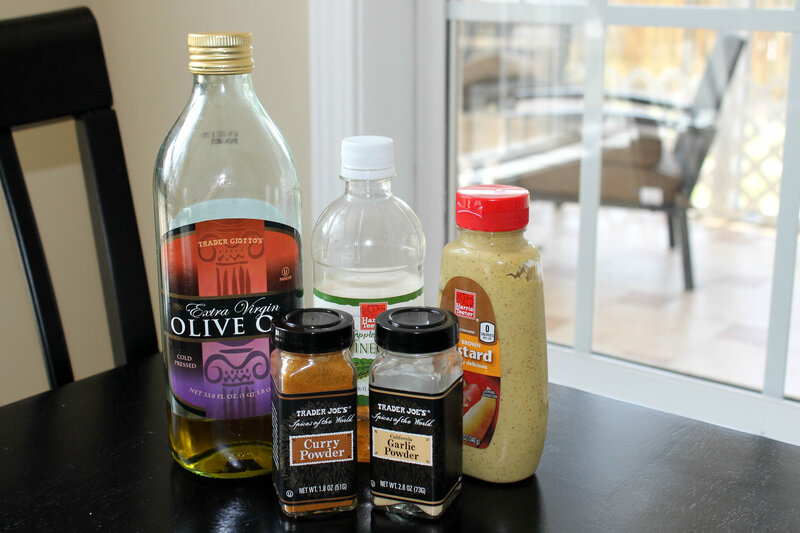 Stream in the olive oil, while continuing to whisk all of the ingredients together. Season your meat with a little salt and pepper and place in the freezer bag. Make sure you get all of the air out of the bag and seal it well. 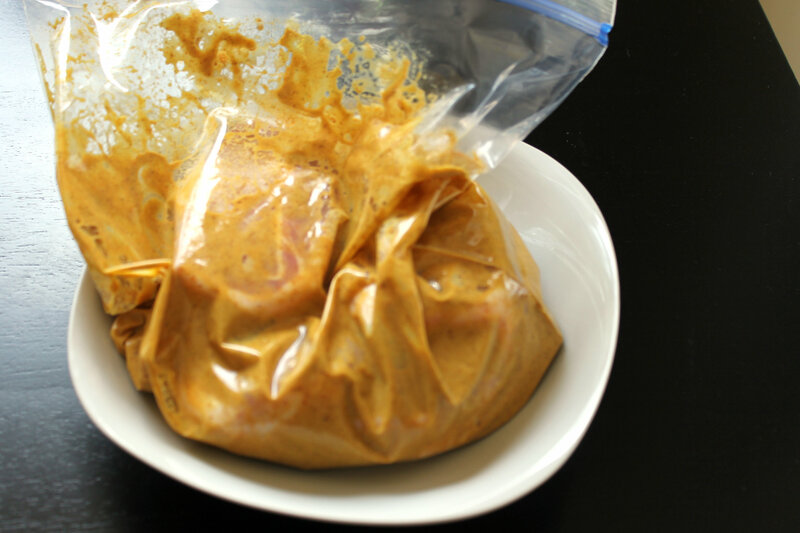 Refrigerate for at least four hours but no longer than 8, since pork can break down if left in marinate for too long. 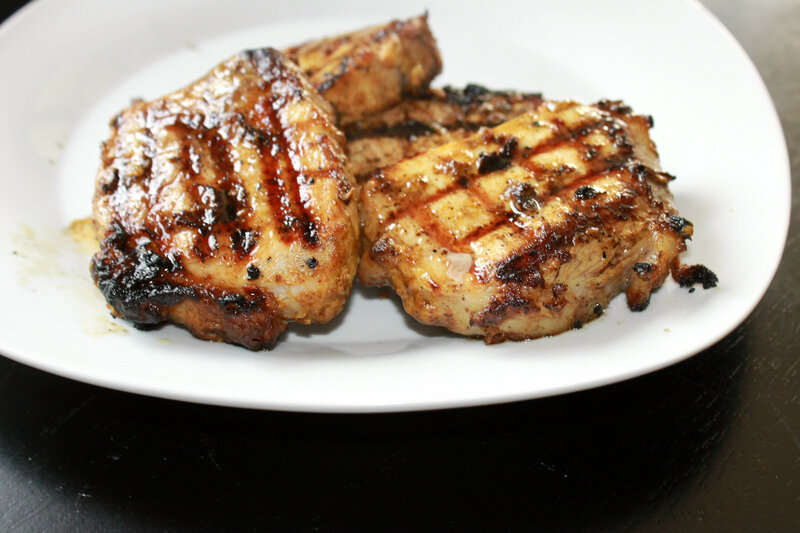 Grill the pork chops over medium-high heat for about 12 minutes, or until they reach an internal temperature of 160 degrees. Allow to rest a minute or two before serving. I tend to serve this with some sort of a potato and grilled brussel sprouts (we eat a LOT of grilled brussel sprouts!) but I also think it would be great with veggie fried rice! 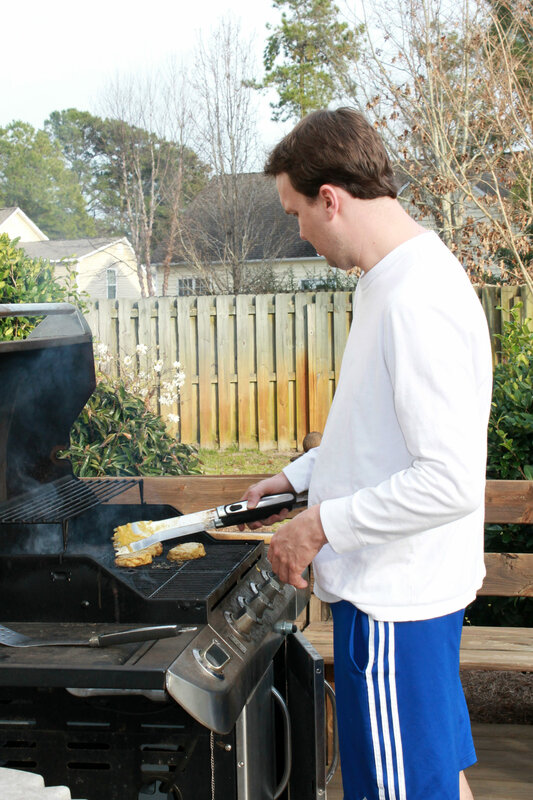 What is your favorite things to grill? Any tips that I can pass along to the man behind the grill at my house?.